Air Cooler is a sealed, closed loop. The observation of water tank equipment water enters the water storage tank, a pipe pump will soften water into the heat transfer tube group, forced air cooling, cooling water into the corresponding equipment package, the water pipe is provided with a water diversion bag, and through the hose or pipe are respectively connected to the inlet of needed equipment. Spray device is the most hot weather in the summer, it is composed of a spray pump, water tray, spray pipe and other components of an independent cycle system. In the air blower and heat transfer tube, a small amount of water is injected into the fin surface of the heat pipe. The surface temperature can be reduced to the air temperature, so that it can meet the requirement of the heat transfer temperature difference. Fan selection of large air flow, low noise, small power of the axial flow fan, pump selection of pipe, therefore, in the same lift and flow of the case, the use of conventional water cooling system of centrifugal pump motor power and air cooling device used in the wind turbine and circulating pump power and basic. The air cooling device is provided with a power distribution box, which can control the circulating pump, air blower, spray pump and digital temperature display instrument, and can also be locked with the equipment. Cold air blower is mainly used in the food industry in the meat, poultry, aquatic products, fruits and vegetables, eggs, milk, cold storage, cold storage, beer, liquor and other kinds of alcoholic drinks and all kinds of cold storage, but also to meet the chemical, pharmaceutical industry, machinery, electronics, water and electricity and other industries of raw materials and cooling process cooling. Efficient cooling fan coil material is aluminum aluminum plate, steel pipe steel sheet two. Aluminum aluminum cooler fin and tube heat exchanger with expansion process, segment tight contact, small contact resistance, high heat efficiency, good anticorrosion performance. Steel pipe and air cooling fin tube heat exchanger adopts whole hot dip galvanizing process, segment closer contact, small contact resistance, high heat efficiency, strong corrosion resistance. Fin as a whole corrugated porous aluminum sheet or steel sheet. The fixed distance (8, 10, 12mm) and variable distance (8/16, 10/20, 12/24mm) fin combination form. The fin is a combination of the deep position of the sleeve and the fixed distance. 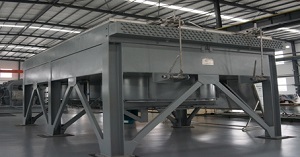 After the coil is made, the 2.0MPa pressure test can be manufactured. Air cooler are used for cooling fan axial flow fan, has the characteristics of high efficiency, low noise, long service life, the use of die-casting Aluminum Alloy airfoil blade sweepforward type blades, high strength, smooth surface of health. Temperature -40 ~-50. High efficiency air cooling machine shell with high quality steel plate or spray paint, stainless steel plate, aluminum plate four kinds of options. The fan panel adopts unique design, strong rigidity, beautiful appearance, good corrosion resistance, long service life.